These sessions will be held on Wednesday nights at 7.30pm to 8.40pm at the Defence Forces Swimming Pool, Curragh Camp, County Kildare. Session dates will be held in the following months in 4 week blocks and may span across months. These sessions are suitable for the swimmers and non-swimmers rescues and all cubs will have an opportunity to get wet and be involved. Non-contact rescues and all cubs will have an opportunity to get wet and be involved. 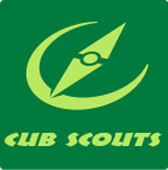 The cost will be €25 per Cub. Contact Leo Mahon 086 8146261 (IWS Kildare) or Niall Williamson 083 1091479 (9th Kildare – Kilcullen beavers) to book your groups place .